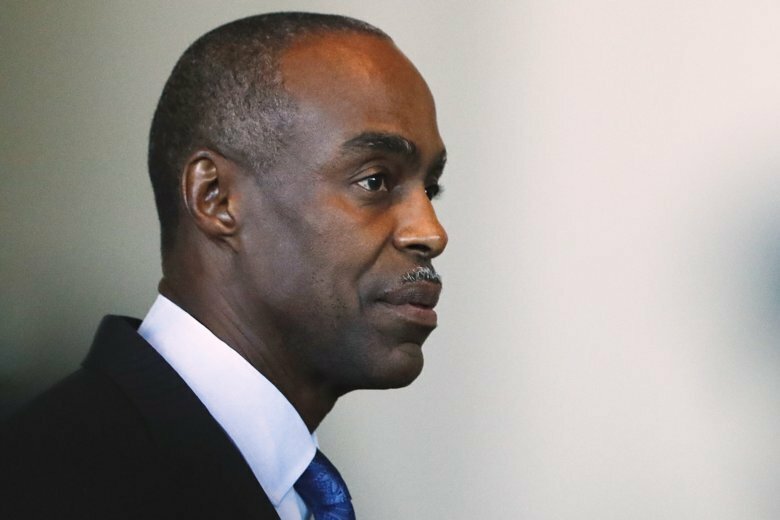 The Broward school board voted 6-3 to retain Superintendent Robert Runcie, rejecting a motion introduced by member Lori Alhadeff , who was elected to the board last year. Alhadeff’s 14-year-old daughter Alyssa and 16 others died in the Feb. 14, 2018, shooting at Marjory Stoneman Douglas High School in Parkland. Runcie supporters and opponents packed the board’s meeting room and an overflow area, and security was tight: A police officer escorted Runcie into the building and spectators were checked for weapons. The district is the nation’s sixth-largest with 327 schools and 270,000 students. After the vote, Runcie asked Alhadeff and the other victims’ parents to work with him moving forward and to use the tragedy as an opportunity to bring the community together. “I can’t lift the pain of the victims’ families but I know pain,” Runcie said. He said his mother was shot and wounded while he stood next to her when he was 8 and that he dealt with the loss of several children when he was an educator in Chicago. About 80 parents and community members addressed the board prior to the vote, with only six speaking in favor of firing Runcie during more than four hours of testimony. The rest said he should be retained because he has improved schools districtwide and reached out to minority communities. His supporters say he has led an academic rebirth in the district and note that the state gave Broward a “B” in its latest district grades. The state’s report took into account a graduation rate of 84 percent, a 10 percentage-point increase over five years. Brian C. Johnson, vice mayor of the suburb of West Park, said that while he sympathized with the Stoneman Douglas parents, the effort to remove Runcie was a “sham” and “a shameful attempt to make our superintendent a sacrificial offering to their god of irrational revenge.” He punctuated his remarks with an obscenity. “The most important thing the superintendent does, or is supposed to do, is to protect students and our teachers and educate our students and he has failed on all of those counts,” Schachter said. Alhadeff, who has clashed frequently with Runcie since taking office in November, asked the board to look objectively at his performance. Citing a list of areas in which she said the superintendent had fallen short, she said the claims of Runcie’s supporters that he has improved the district’s academic performance are false. She said the number of “A” schools in the district has dropped during his administration and the gap in test scores between white students and minorities remains large. The superintendent’s critics also said bullying and other school problems were routinely underreported by Stoneman Douglas and other district schools and few did voluntary security assessments. Stoneman Douglas reported zero incidents of bullying among its 3,200 students between 2014 and 2017 and three incidents of vandalism, for example. Another target of criticism has been the district’s Promise Program, a student disciplinary system Runcie instituted shortly after he began as superintendent in 2011. Under Promise, students who fight or commit petty vandalism, theft, harassment or other minor crimes, are referred to an off-campus site for up to 10 days instead of the courts. Critics say Promise created a lenient atmosphere that allowed shooting suspect Nikolas Cruz to briefly attend Stoneman Douglas a year before the massacre despite a history of fights, threats and behavioral problems. The district says while the program might require some changes, it is a success overall. “It is complete B.S. to say nothing has been done for safety,” she said.